Local Marketing - get on board, or get left behind! Yahoo! Local offers a basic free listing for all businesses, but upgrade to an enhanced listing for $9.95 / month, and you can add photos, a logo, a tagline, and online coupons to attract even more customers. Google Places has a nice feature it calls "tags," which allows you to highlight certain elements of your Google Places listing you want to draw your users' attention to the most (e.g. "Free Radiant Barrier Installation in April"). When people visit Yelp, they're typically looking for reviews of businesses local to their areas. Just remember: as a business owner dealing with reviews, remember to be polite, even if the reviewer wasn't. Yext allows you to submit to a number of local directories and highlight your listings -- all from within the Yext site. Daunted by the task of submitting your information again and again to dozens of directories? Yext may be your solution! Facebook Places is free and allows you to run specials, which are then promoted on your customers' profiles for all their friends to see. Did we mention this is free? Like Facebook Places, FourSquare lets users "check in" to businesses like yours. As a business owner, you can offer "Mayor" specials or other promotions to visitors who gain a particular status at your location. Hey, if your Mayor's getting free drinks every time he visits your restaurant, why wouldn't other customers try to beat him out to gain that title? HubSpot Link Grader analyzes every inbound link you have coming to your site and tells you how many visits and leads resulted from those links. You can also see the average "link grade" of every referring site to gauge how reputable and valuable each link is. HubSpot Reach tracks the success of all your social media outlets, including Twitter, Facebook, your blog, and more. So, if you're utilizing these tools to market to your local audience, you can see which tools are working for you and which aren't. HubSpot Page Grader analyzes all individual pages on your web site, noting stats like Visits, Inbound Links, and Page Grade. Because SEO is such an integral part of any local marketing campaign, monitoring the progress of pages you've optimized is vital to ensuring your SEO campaign is working. All of these tools are available when you become a client of HubSpot's. Learn more with a free 30-day HubSpot trial. No problem. Google Analytics is free and offers an array of information on inbound links, keyword rank, and referring sources. There are a number of other paid tools for analyzing your local marketing campaign in greater detail than Google Analytics, so take a look around to find what works best for your local business. 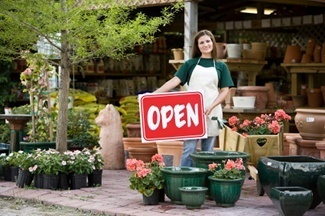 If you have a “local” business and aren’t utilizing local online marketing avenues, you’re missing out on tons of potential clientele -- often at little or no cost to you. Need some inspiration? Check out HubSpot's ultimate list of 50 local business directories, and start submitting! Submitting to any and all reputable directories like those on the list will increase your exposure and help your business thrive. Did you know LyntonWeb is a HubSpot partner? We are, and we're proud to be one! Whether you need a custom web design, a user-friendly CMS, or marketing consulting and implementation, we'd love to hear from you about your needs. Check out some of our recent work, and contact us for a free consultation.